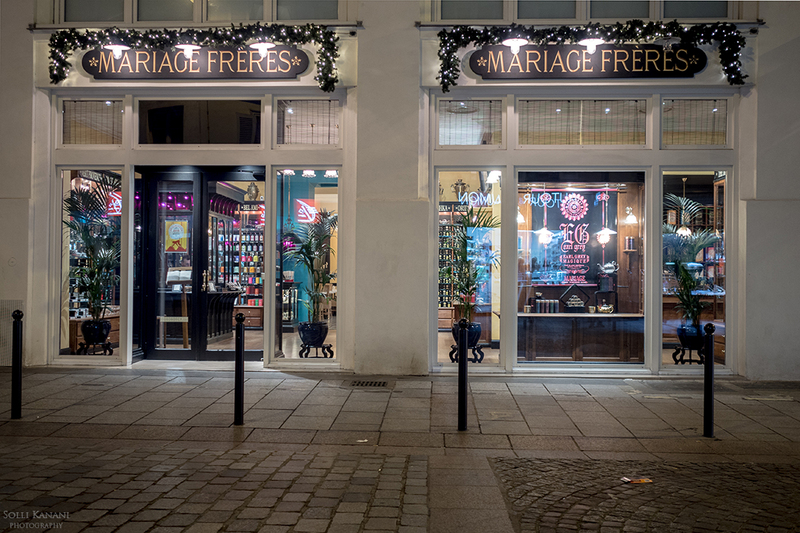 Mariage Frères – with over 650 varieties of tea from 36 producing countries and covering all tea families (white teas, green teas, black teas and red teas among many others) this is a French institution for tea lovers! 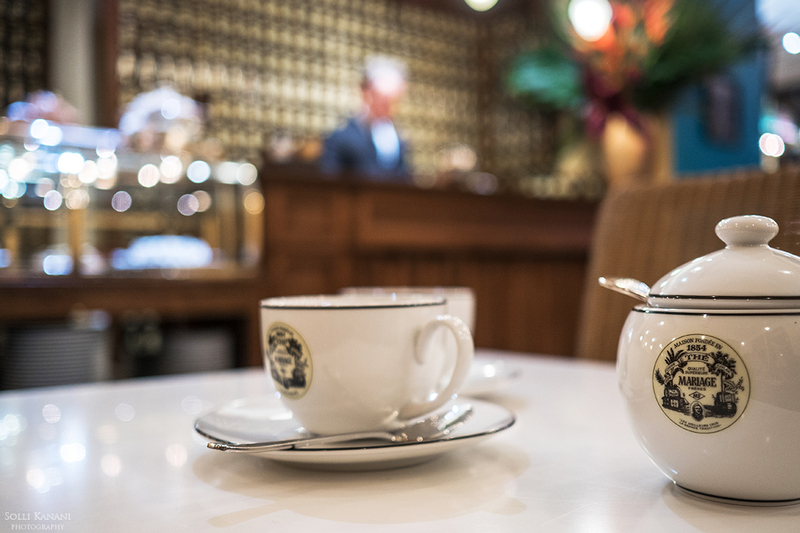 Established by the brothers Henri and Edouard Mariage in 1854, it is today the oldest importer of tea in France. 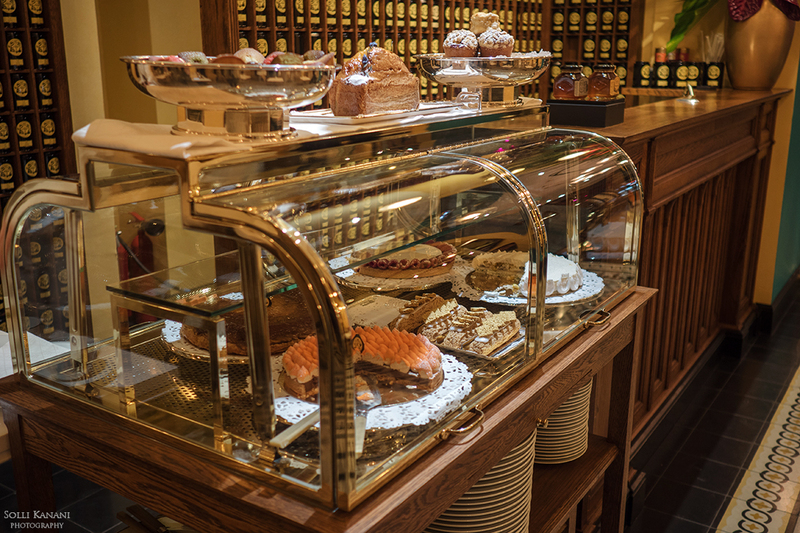 Their selections of tea can be found worldwide, at different hotels, tea salons but also high end epiceries. 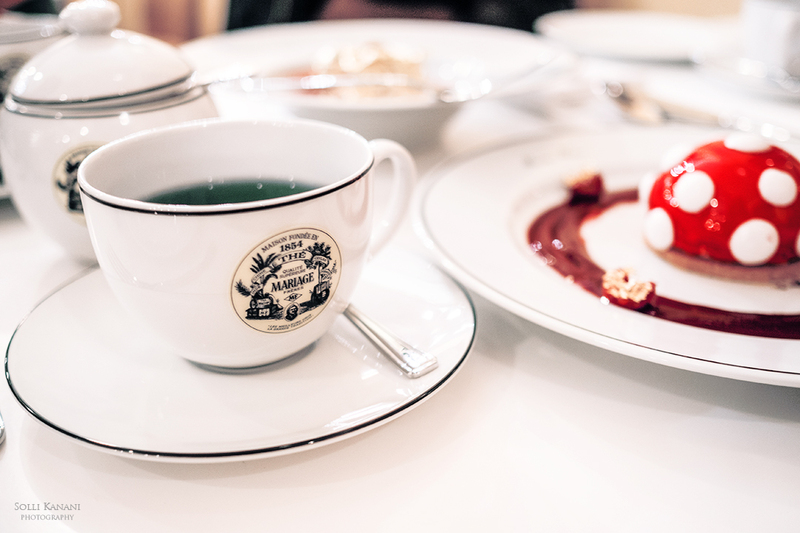 In Paris you’ll find several Mariage Frères tea houses, the flagship store and tea room in Marais but also the latest one at 56 Rue Cler in the 7th arrondissement not so far from the Eiffel Tower. 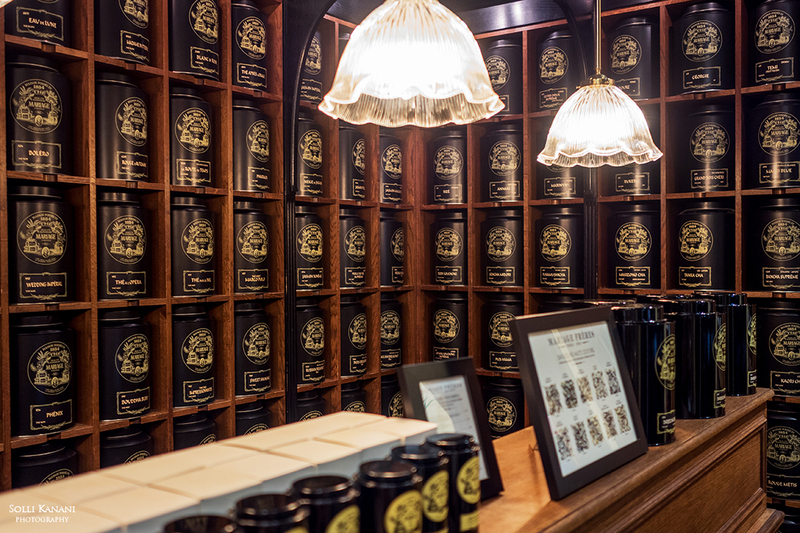 I was more than delighted to explore the universe of the French tea brand Mariage Frères when I had my dear friends, Isa and Fabrizio, from Italy on visit a few weeks ago. Together with the tea we also had something sweet, two pastries that were too beautiful to be eaten! 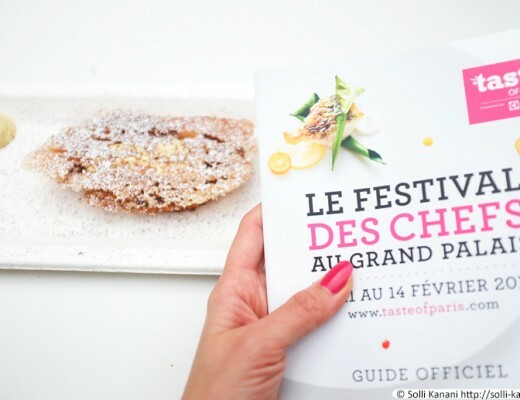 Ever wanted to taste 24k gold? 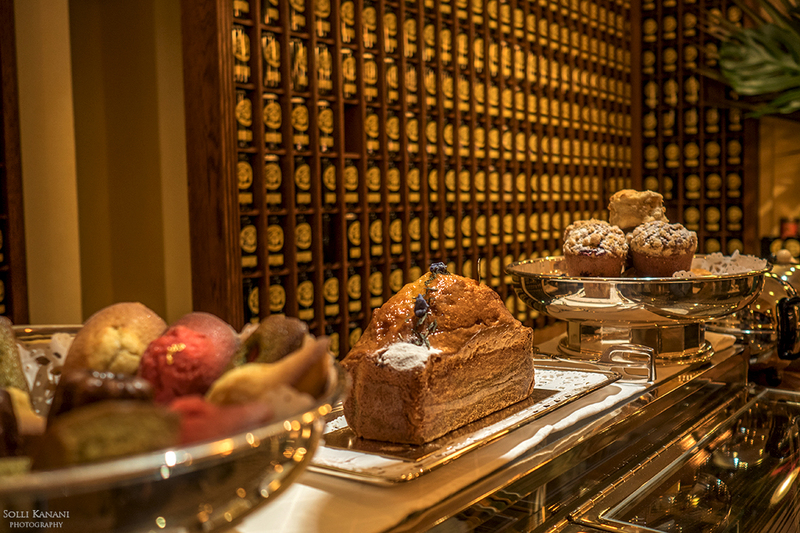 Then ask for the Carré d’Or! 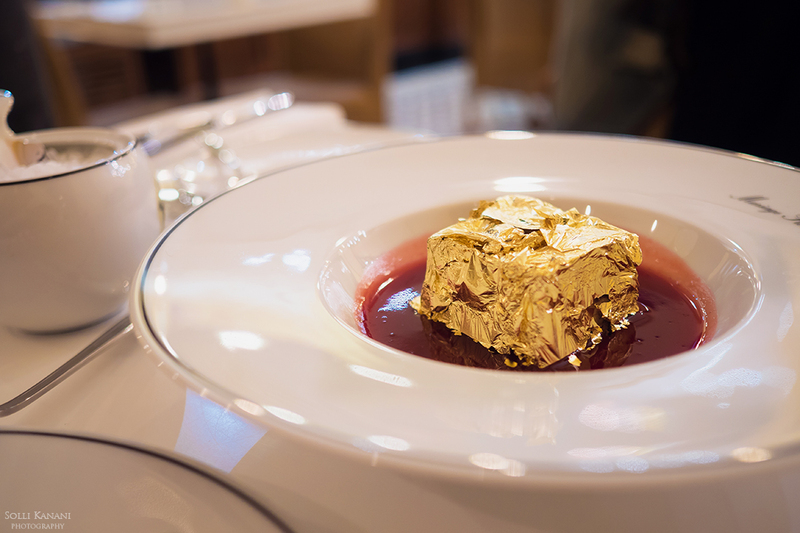 An intense dark chocolate infused with Black Magic Tea with a heart of butter salted caramel, covered in gold leaf and with a blackcurrant sauce. 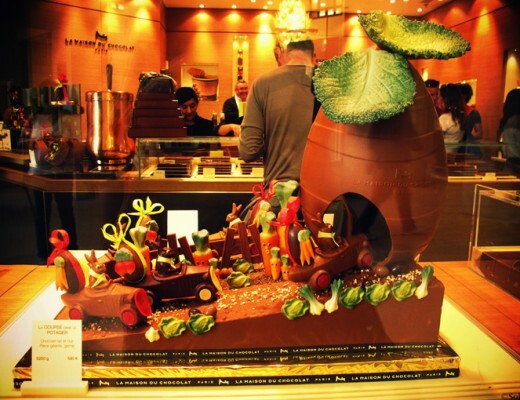 A must for chocolate lovers. 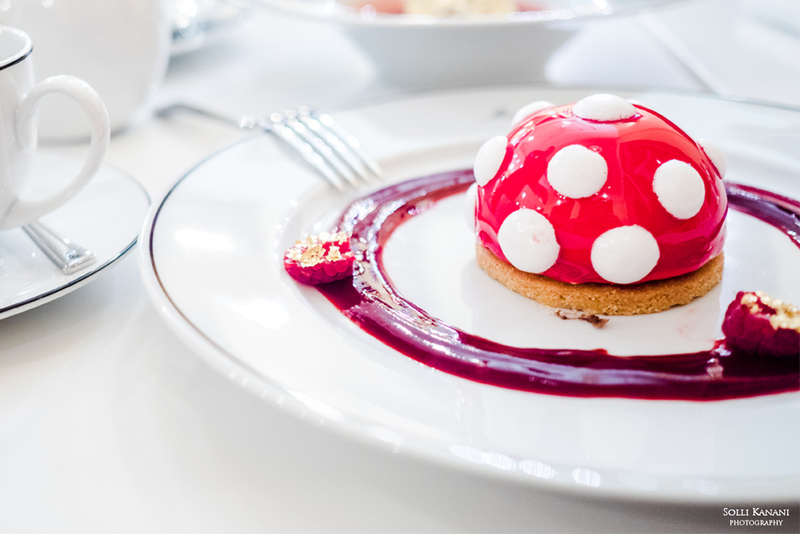 Another dessert that was brought to us was their iconic pastry Etoile Mystérieuse (mysterious star), a cheesecake covered with white chocolate, glazed with the fruit tea, Very Beautiful, with meringue and fruity raspberry sauce and 24k gold leafs. It was a pure delight to enjoy the tea and pastries together with my friends at this beautiful institution with so much history and knowledge. A perfect place if you appreciate fine tea or simply want to explore and discover new tea varieties and different blends. 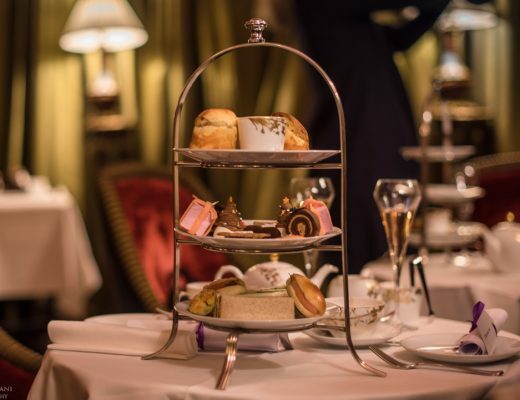 We had a great experience and it’s an elegant place I look forward to return to when having friends and family over for a divine tea and sweets. 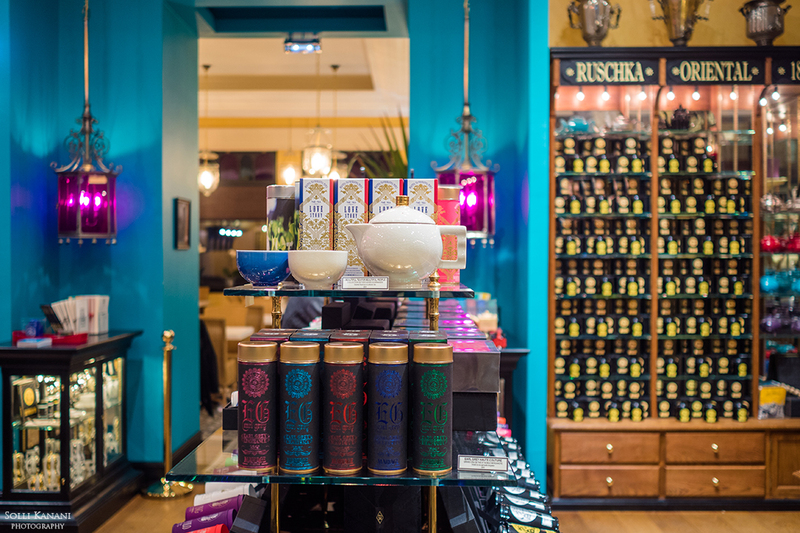 The staff were very service minded and are all experts in tea, if you have any question, don’t hesitate to ask them as they gladly share their expertise and give you advice when you are about to choose your tea. 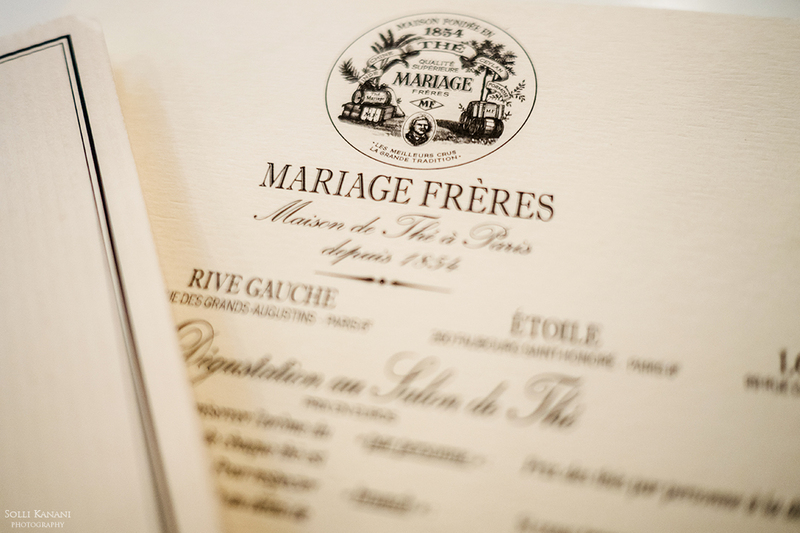 Mariage Frères – A French institution for tea lovers! 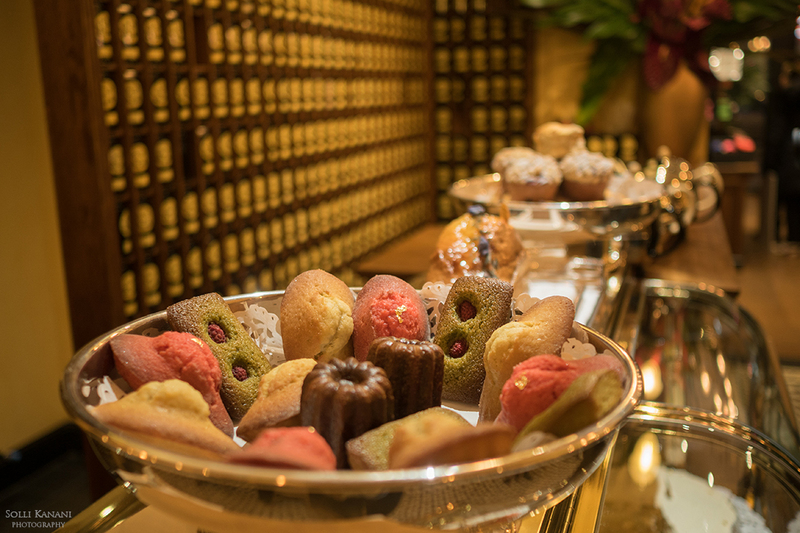 The counter at Mariage Frères with mouthwatering financiers, cannelle and madeleines..
At Mariage Frères you will find a great selection of varietes of teas!